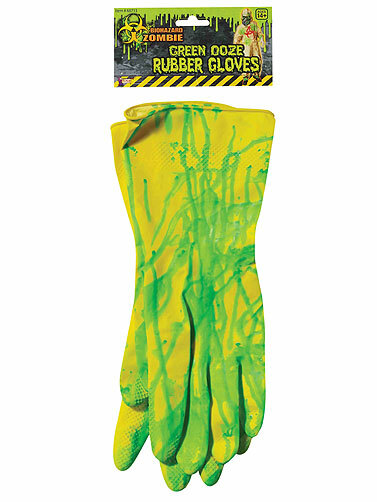 These rubber gloves have been pre-stained with green ooze for your Biohazard Zombie scene this Halloween. Green ooze glows under blacklight. Great costume accessory or use them as a prop. Biohazard Zombie Rubber Gloves measure 12"L. One size fits most. Recommended for ages 14+. 2 pc.